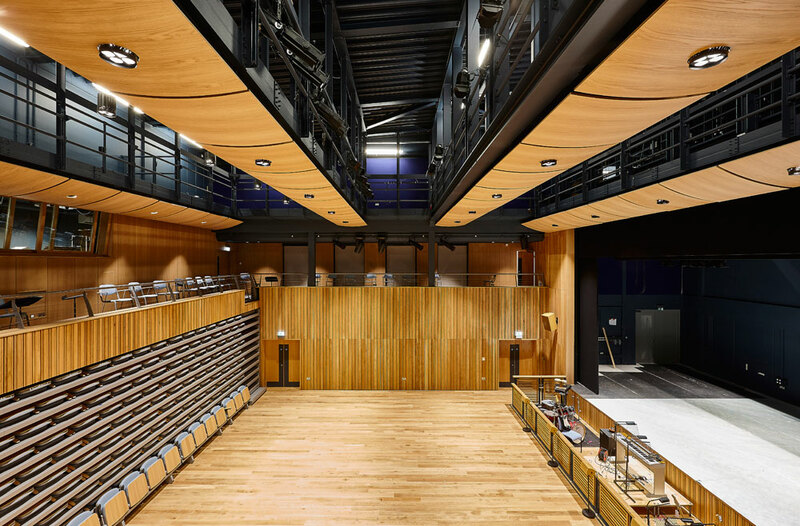 A selection of our acoustic wood products were specified for the new development at Ibstock Place School and installed by our team. 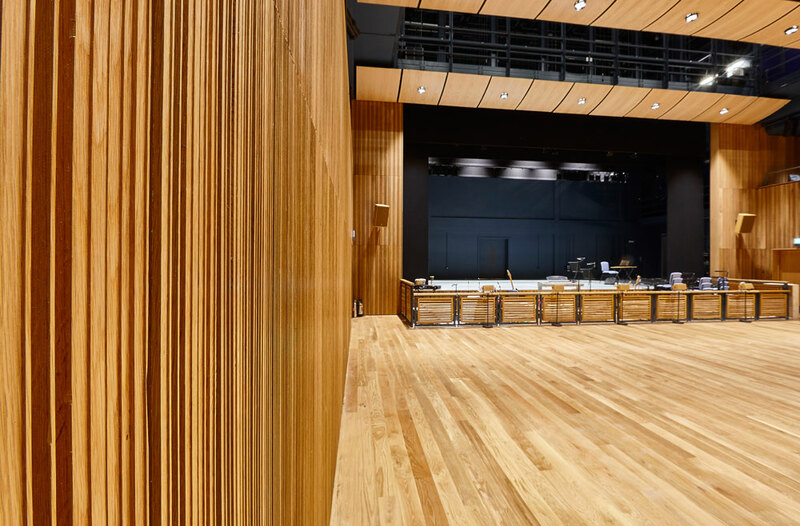 The new Theatre features our RPG Flutterfree T Oak in matt lacquered finish, this is used on ground floor walls up to 4m, as well as the balcony, orchestra lift and proscenium. 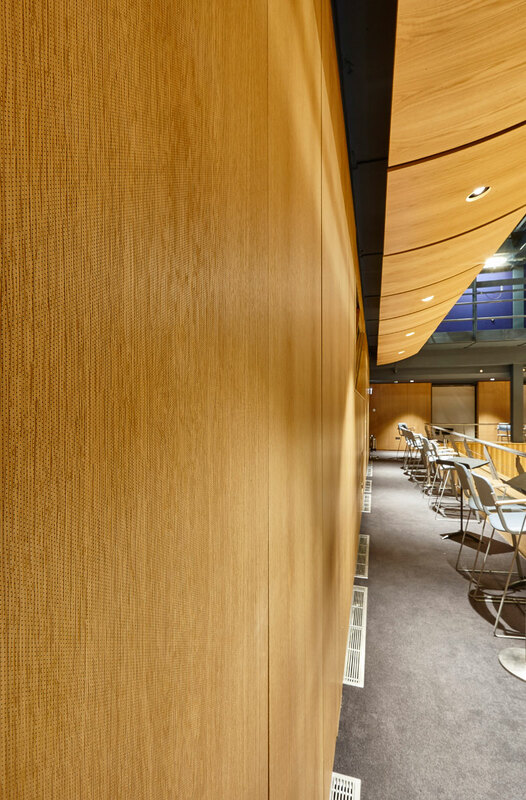 On the First Floor viewing gallery we installed new Lambri Microperforated Timber wall panels, with fine microperforated oak veneer finish, we also provided the same microperforated veneer over plain board to match the finish around the windows. 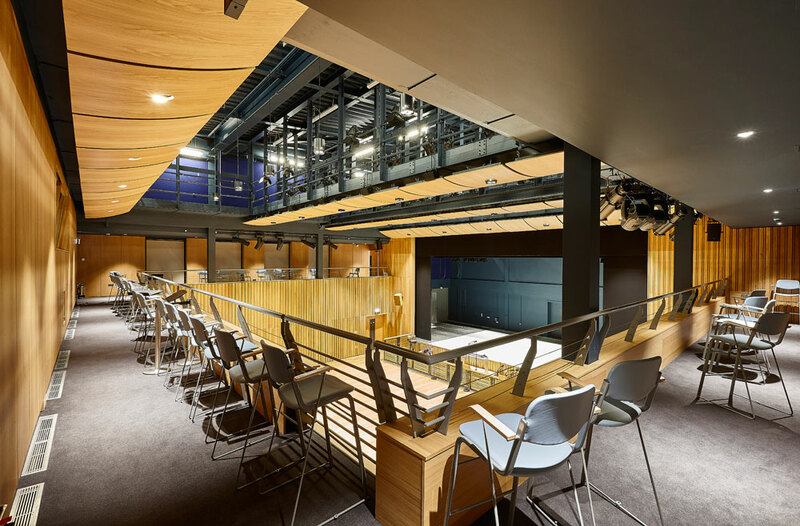 On the second floor and in the drama studio we have installed Soundtrac Stretch fabric panels in Blue.